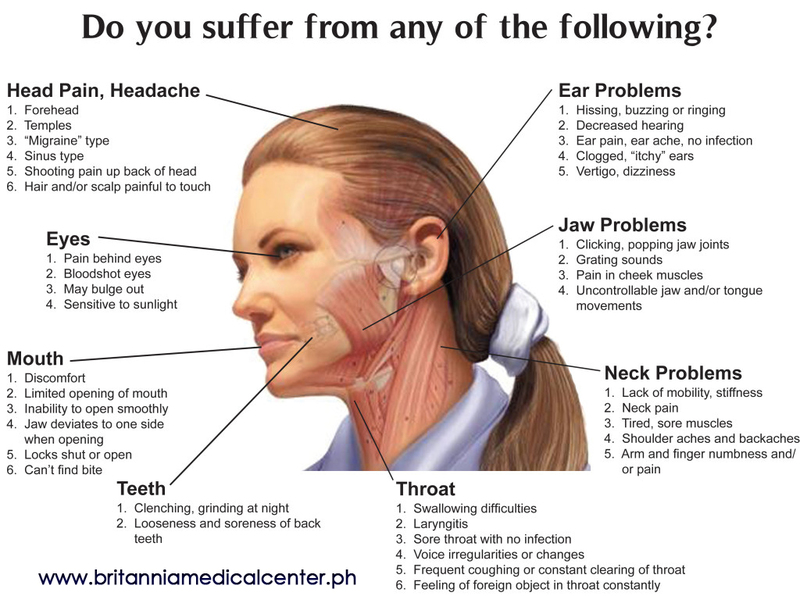 Area TMJ (temporomandibular joint) and chewing muscles in frequency are the third cause of pain in the mouth and face. Very often replaced with tooth pain because pain is transmitted to individual teeth so that’s how occur errors in dental treatment. Unfortunately, there are very few dental healthcare provider or general medicine offices that are trained in therapy of the so-called temporomandibular dysfunction. The area of ​​temporomandibular dysfunction border area of ​​dentistry, orthodontics, ortorinolaringology, physical therapy, orthopedics and surgery, and is often considered as irremediable condition. Modern approach to diseases of TMJ and chewing muscles includes proper diagnostic procedures, functional analysis and determining the exact mechanism and causes of the painful conditions. Very often the disorder in the bite is the main cause of pain in the face, neck, ears, head and disorders in the wrist, clicking, clicks and sounds like crushing. During the first medical examination and subsequent control monitoring, are checked signs that may indicate the occurrence of temporomandibular joint disorders and chewing muscles. Good clinician knowledge of the problems of TMJ enables effective identification of causes that can be removed. Even severe disorders of joint function, creaking and grinding of teeth, damaged teeth and muscle structure can be reduced in greatest extent or completely removed with a proper therapeutic procedures . 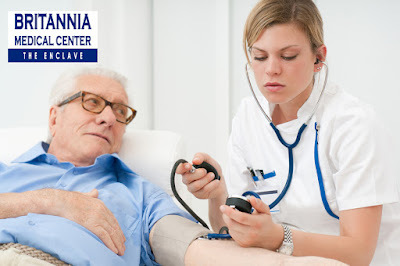 Usually is about long-term pain conditions that impair quality of life and patients are aware of them but are usually given wrong information that it is not possible to cure or that are natural states. Whether you call it halitosis, bromopnea—or just plain bad breath—it’s a problem that nobody really wants to experience. Bad breath can sometimes be a sign of more serious issues, and it occasionally has a cause that’s not related to the mouth…but most of the time it comes from an oral source, and is amenable to treatment. Breath mints and mouthwashes can temporarily mask the odor, but they don’t get to the cause of the problem. So what can you do if even your dog turns away when you pucker up? Here are five tips that can help you control bad breath. Oral bacteria—and there are millions of them in most people’s mouths—are a major source of foul odors. Some of these bacteria are also responsible for tooth decay and gum disease. Maintaining good oral hygiene is one of the best ways to reduce the levels of harmful oral bacteria. That means brushing twice daily, flossing once a day, and seeing your dentist regularly for exams and professional cleanings. A dental exam can also rule out other potential causes of bad breath… so you can concentrate on keeping those bad bacteria under control. Heard those stories about garlic breath and onion odor? They’re all true. Not only do the aromas of some foods persist in the mouth, but they can also come back when the odiferous substances are digested, passed into the blood stream, and exhaled through the lungs. And it’s not just foods: Coffee and alcohol are beverages known to cause a malodorous mouth. But fasting isn’t the answer either—in fact, not eating for a long time causes another set of smelly chemical substances to be released. If you want to alleviate bad breath, consider snacking on fresh, healthy foods that contain plenty of water—like celery, parsley or apples. Wonder why people have “morning breath?” It’s because of reduced salivary flow and mouth dryness in the early hours. Saliva fights bad breath naturally by keeping oral bacteria under control, and by washing away food debris. You can help saliva do its job by drinking plenty of water during the day. Sometimes, chronic dry mouth can be caused by medications or other health issues. If that’s the case, your dentist may recommend chewing xylitol gum or using a saliva substitute. This is a no-brainer: If you have smoker’s breath… stop smoking. Your friends and loved ones will thank you—but you’ll be doing the biggest favor to your own health. You may not realize you have gum disease or tooth decay—but either of those common maladies could be the source of bad breath. Sometimes, a strong smell may signal the presence of another dental problem, like an old filling that’s breaking down, or an abscess that’s starting to form; it can also indicate a different type of infection or disease. If a foul odor develops suddenly, see your dentist right away—especially if you have any other symptoms. But even if bad breath is a persistent problem, in many cases a dentist can help pinpoint the cause and help you find the best way to control it. Has your dentist or prosthodontist recommended dentures? Are you getting mixed emotions? If so, you’re not alone. People of all ages have great-fitting dentures that boost their oral health as well as their self-confidence. Here’s what you need to know about your new prosthesis. Adjustment Period – When you first begin wearing dentures, they can feel strange, bulky and awkward. You may also notice an increase in saliva production, a sensitive gag reflex, a funny taste or even slurred speech. 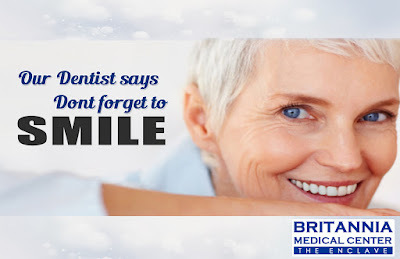 After wearing your denture routinely, you will slowly begin to feel more comfortable wearing them. If they continue to be bothersome after a few weeks with no improvement, contact your dentist or prosthodontist to see if an adjustment is necessary. 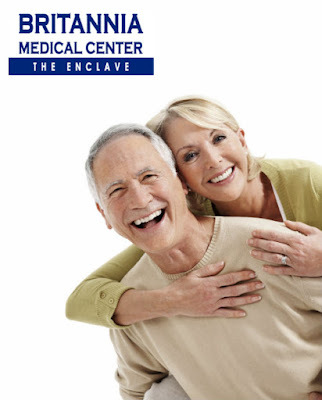 Denture Adhesive Isn’t Needed – A perfectly fitted denture should stay in place without denture adhesive. How? Because of the close seal between your prosthesis and your gum tissue. If your denture won’t stay in place without adhesive, then ask about having them relined. Use a Soft Denture Brush– You should clean your dentures twice a day with a soft brush. Be sure not to use the same one that you use on any existing teeth. Then, allow your denture to soak overnight in a cleaning solution. The tissue in your mouth needs a time to rest, and should also be gently brushed daily to clean away food debris. Schedule Regular Checkup Appointments – You should have your dentures checked regularly. These visits allow us to screen for oral infection, disease, and make adjustments to your prosthesis if necessary. Do you have more questions about dentures? For more information make an appointment by calling 0925-567-5329 • 0908-865-5662 • 0917-566-1932 • 458-0717 and schedule a consultation today. Why Is Going For Your Annual Exam Important? Every 50,000 miles a car needs an oil change to stay in top condition. While it is up on the lift they do a bit of an inspection to let you know if anything is out of the ordinary. It is tempting to let an oil change go but you know that you are in for trouble if you do. The same goes for an annual exam, you know you should go but it is very tempting to put it off. Why would you take care of your car better then you take care of yourself? 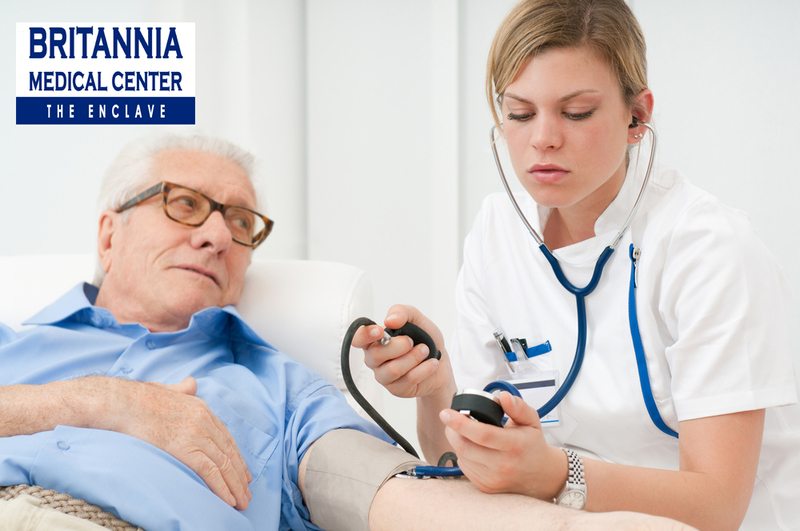 A routine check up is an opportunity to see the doctor when you are well. Many things can be detected early when the doctor is giving you a once over and not focused on something that is ‘broken’. Some people actually like the annual exam because it confirms that you are as healthy as you feel. Many people feel they get more out of an exam if they come with a list of questions. During the weeks before jot down any question that come to mind and bring the list. It is pretty easy to forget things when you are in a paper gown. Getting a benchmark on all these stats yearly help show a pattern of your personal normal health that is very important if you ever do become sick. A year over year review can also show things that sneak up on you like a mole that has gotten bigger so slowly you never even noticed. Take the opportunity to ask the doctor what they recommend for improving your health, they might be pleasantly surprised at the question since so many people are just looking for status quo. Most of us love winter as it is a time for festivals, picnics and lots of other outdoor activities. But it also marked with dry and rough weather, when most of us suffer from dry skin problems, cracking of heels, dry lips and so on. Dry skin makes your skin look dull and unhealthy. Because of the lack of moisture in the skin, you will suffer from itching and irritation of the skin. So, it is important that you keep your skin well moisturized throughout the day to prevent the skin from getting dry. This way you can keep your skin hydrated and in good condition. There are many reasons that cause dry skin. It can be due to environmental reasons as well as hereditary conditions. So, first you have to diagnose what caused dry skin. Once you know the cause for dry skin, you can take measures to treat the skin and nourish it, so that it becomes healthy and well nourished. With age, your skin becomes saggy and drier. You lose the elasticity of the skin and your skin starts to get mature. So, you have to start applying anti-ageing products on your skin. This helps in keeping your skin hydrated. Air conditioner is another reason for your skin becoming dry. When you spent a few hours in an air-conditioned room and then come out, you feel dryness in your skin. The skin on your face seems to become stretched as well as itchy. So, if you spend long hours in air-conditioned rooms, apply a good nourishing cream on your skin. When there are cooling or heating devises in your room like air-conditioners, room heaters, fireplaces and coolers, the humidity in that room will be very low. As a result the moisture from your ski is absorbed by the surroundings and your skin becomes dry and itchy. When your skin is exposed to sun for a long time, the sunrays penetrate deep in to the skin and dissolve the bonds of collagen and elastin. This makes the skin lose its firmness and also makes it dry. Wrinkling and sagging of the skin are other effects of exposure to sun. By applying a good sunscreen lotion you can prevent these problems. If you have a habit of taking a shower frequently with hot or warm water, you skin starts getting dry. This is because the heat from the water takes away the moisture from the upper layer of your skin, which is responsible for retaining he moisture in the skin. Moreover, the soap that you use also makes your skin dry. As a result, you will suffer from dry and itchy skin. You do not feel very thirsty in winter ad so you do not drink too much of water. This can make yourskin dry and dehydrated. Most common reason for dry skin is the environmental changes. When there is less humidity in the surroundings, your skin tends to become dry. So, if your body is exposed to extreme temperatures or less humid environment, your skin becomes dry. Low temperature and low humidity are the two main reasons for your skin to become dry as well as itchy. In desert regions, the temperature is high but there is very little humidity in the surroundings. Such a condition makes your skin even worse. You can prevent dry skin under such conditions by installing humidifiers in your house. When there is a decrease in the secretion of thyroid hormones, you may suffer from dry skin. This is because low secretion of these hormones decreases the activities of oil and perspiration glands and thus leads to a dry skin. Commercial soaps, especially the antibacterial soaps, are harsh on our skin and make the skin dry. The chemicals present in soaps remove all moisture from the skin, leaving your body dry and itchy. So, it is better to use body wash instead of using soap to clean your body. It is a good idea to apply oil on your skin before you take bath. This will keep your skin hydrated and prevents dryness. After you use a mild soap or a face wash, you must always apply a moisturizer on your skin. Dry skin can be an early symptom of diabetes. People suffering from this disease tend to have dry hands and feet. So if you have such a symptom, you must check your sugar level and see whether you are suffering from this disease. Swimming for hours in the swimming pool can have adverse affects on your skin and your hair. When you swim for a long time in the pool, the outer layer of epidermis, which plays an important role in retaining the moisture, is depleted. The chlorine present in water breaks the lipid barriers in the skin and thus makes your skin harsh and arid. So you have to apply a good quality nourishing cream before you step into the swimming pool. This way you can protect your skin from various skin problems caused by chlorine present in the water and keep your skin hydrated and healthy. The skin of the scalp is very delicate and vulnerable and it dries faster than the skin on any other part of your body. So, when you use harsh shampoos and conditioners that contain lots of chemicals in them, your hair and scalp become dry. Use shampoos and conditioners that are made for dry scalp and thus prevent dry scalp. You can also use herbal and homemade shampoos and conditioners as they do not contain chemicals and suit all types of scalp. It’s not uncommon to face new health challenges as you age, and oral health is no exception. The good news is that keeping your teeth and gums looking and feeling their best long into your golden years is possible with proper care and attention. The following senior dental care habits aren’t difficult and can help preserve your healthy smile for a lifetime. • Maintain regular visits with your dentist. Don’t put off visits to the dentist until you experience pain or discomfort. Instead, scheduling appointments for regular checkups every six months is one of the best ways to keep your teeth healthy as you age. A routine exam can save you from a number of dental problems, excruciating pain, and costly procedures down the road. Always inform your dentist about your current health status and medications so that he/she can provide optimal service and treatment. • Modify your oral hygiene habits. The importance of proper oral hygiene doesn’t diminish over time. Older adults should continue to brush twice a day with fluoride toothpaste and floss daily to prevent the development of cavities and gum disease. Unfortunately, many seniors experience dexterity problems due to arthritis or other conditions, which make proper brushing and flossing difficult. To make oral hygiene easier when mobility is limited, seniors should consider attaching their toothbrush to a larger object such as a ball, or purchasing an electric toothbrush in place of a manual. Simple modifications can improve mobility and make cleaning your mouth easier and more comfortable. Tooth loss can lead to far more serious consequences than an altered appearance and poor self-esteem. In fact, missing teeth can cause many issues, including difficulty chewing and speaking; shifting of adjacent teeth; jaw pain; and increased risk of decay and gum disease. For these reasons, seniors should have missing teeth replaced as soon as possible to restore optimal function and health. Today, dentists can provide a variety of natural looking solutions to remedy tooth loss, including dental implants, bridges and dentures. • Commit to a healthy lifestyle. Finally, making positive lifestyle choices can go a long way to improve overall health as you age. This may include giving up bad habits that contribute to oral health problems, such as smoking, and eating a balanced, nutrient-rich diet to promote a healthy mouth and body. Successful management of teeth and gums can help seniors avoid a number of health issues, while also increasing quality of life.